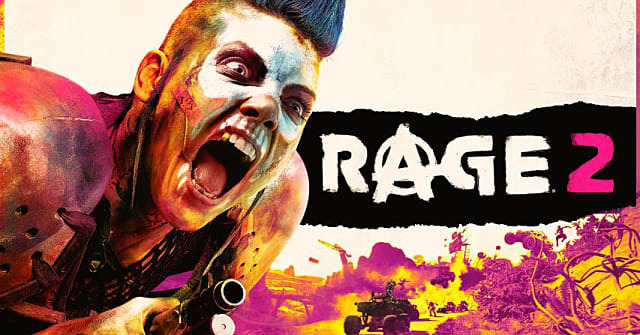 In 2011, Bethesda came out with a brand new IP titled Rage, which was developed by id Software. It was an open-world adventure game set in the post-apocalypse, and it received decent critical response. However, at first glance, many players may have thought it looked bland and not that exciting. I for one passed on the game due to it seeming pretty boring. Fast forward to 2019 where id Software has partnered with Avalanche to develop a sequel to the game in Rage 2. I was able to get hands-on with the new title last week to see if it feels more interesting than the original from eight years ago. 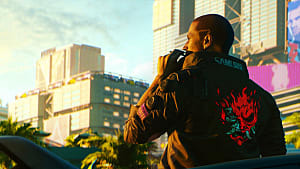 You play as a character named Walker (who is a lefty by the way), and you can decide whether you want Walker to be a male or female at the very beginning of the game. You are now in the post-post-apocalyptic world where you have the basic necessities to survive and go on with your day. The Authority from the first Rage entry is back and taking on your home town. You and three other secondary characters work together in order to bring down the Authority with something called the Dagger Project. Despite the return of the Authority and the Wasteland itself, you won’t feel lost in the new game even if you didn’t play the first Rage, as Rage 2 is set up to be a stand-alone title. While there is a lot of story you can play through, there are a lot of side missions available as well. The two optional mission types that I was able to play were a bounty mission and a car race. To find a mission, you can pause the game, look at your map, and see a bunch of different icons appear on what seems to be a pretty big area of land. When I asked id Software Studio Director Tim Willits about the size of the map, he mentioned that it wasn’t the company's goal to create a big map, but instead it focused on making the world dense with a lot of activities and side missions to play. Whether you are taking down enemy camps or just driving around in the Wasteland, you will always find something to do in Rage 2. Killing enemies, whether they are weird looking creatures or just ravagers in camps, was a lot of fun. Using a combo of weapons and abilities, taking down opponents never got old in my time with the game. Furthermore, there are a vast array of weapons available in the game that you can access through your weapon wheel (think Doom). Each weapon has an iron sight equipped and an alternative fire option. My favorite weapon was the Firestorm Revolver, which allows you to shoot charges at enemies, and then you get to watch the enemies blow up. It was always a satisfying view. There is also something called a Wingstick. It basically acts like a badass boomerang that can do serious damage and sometimes kill the enemy. Then there are the abilities that I mentioned — freaking awesome. These abilities are called Nanotrites, and they are the core of the progression system in Rage 2. Throughout the map, you will see Arc Centers, which can be a bit difficult to complete, but they reward loot and Project Points. Those Project Points allow you to upgrade your group's stats on the Project Tree and unlocking abilities — Willits mentioned that you will be able to deal serious damage once your abilities are fully unlocked. There are a few abilities that stood out to me. One of those abilities is called Slam, which allows you to rise above the ground and then slam down, killing or injuring the surrounding enemies. Another one is called Shatter, where you basically use the Force to kill any enemies that are right in front of you. You are allowed to continually use these abilities, but there is around a 20 second refresh time. You can’t just spam the same ability over and over again. A refresh timer is in place for the dash mechanic as well, but it is only around five seconds here. Dash allows you to quickly move forward, backward, or side to side with a press of a button, and you will definitely want to use it in combat when a giant monster is running towards you. Furthermore, after using your guns, grenades, and abilities to go on a nice killing spree, your Overdrive meter will fill up. When filled, you can unleash your Overdrive to get full health and make your weapons do extra damage. You should definitely save this for when you are surrounded by a good amount of enemies, or a single enormous one, because it helps out a lot. This game is a lot of fun to play, and while I didn’t get to choose a difficulty, the game had challenging moments. For example, enemies don’t just stand there and wait for you to move, they rush you and will deal damage. The part of the game I played was about 25% into the story, and I had to get into a club owned by Klegg Clayton, a rich, celebrity loving egomaniac. Why does that sound so familiar? In order to get into his club, I had to be famous, and, in order to become famous, I had to go on two television shows. 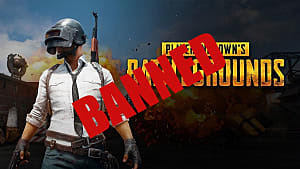 The first TV show turned out to be test to see how good I was at killing enemies, and, using a combination of the rifle, shotgun, and abilities, I was able to take down most of the enemies. The next TV show I had to appear put me in a car race. Casually driving around the Wasteland was a lot of fun and felt pretty good — it wasn’t wonky to me like the driving in Just Cause 4 — but, when I was racing, the controls did feel a little weird. To be fair, I was boosting to gain extra speed for most of the race, so that could be the reason for the strange handling. Or I may just be a terrible driver in video games. In either case, I was able to win the race, despite being in last place and getting derailed for the majority of it. 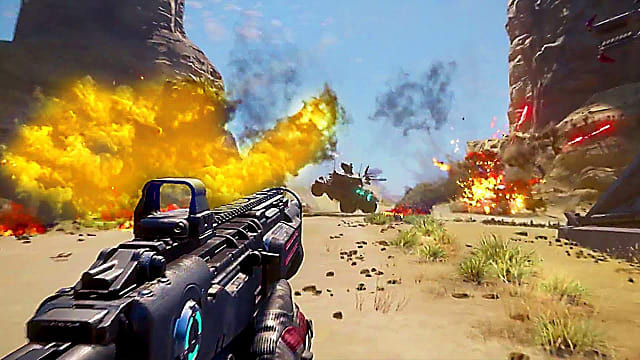 The world in Rage 2 is something that you want to take in. There are different biomes throughout the map, and you will see many items that can assist you as you explore. That might be giant barrels that you can shoot to blow up near an enemy or ammo and health crates that always come in handy. There is also some humor here, and I found a box that was labeled "Just a Box." Of course, I had to pick that up. This humor extends to talking with NPC’s and reading signs that say things like “Don’t clap back. If you basic, you basic.” You can immediately tell that this game is a lot of fun from its world. Additionally, the characters that populate the world have a cartoony look to them and varied personalities. The graphics are not in the style of The Last of Us, but they are good and fit with the tone of the game. In a Q&A, Willits basically said that there is going to be DLC for Rage 2. He couldn’t say what the DLC will be because even the developers don’t know at this time, but they are going to create the post-launch content based on what the players seem to be enjoying. So if players say they are enjoying going to enemy camps and causing chaos, then that may be the focus in future DLC. 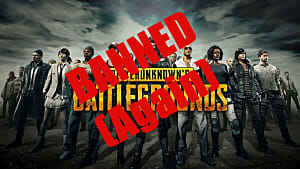 It was also stated that there will be free and paid DLC. This was not elaborated on since the developers are still finalizing details. 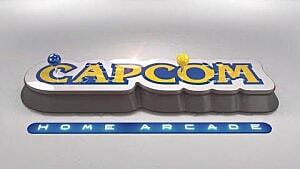 It is also being decided if microtransactions are going to be included in the finished product. 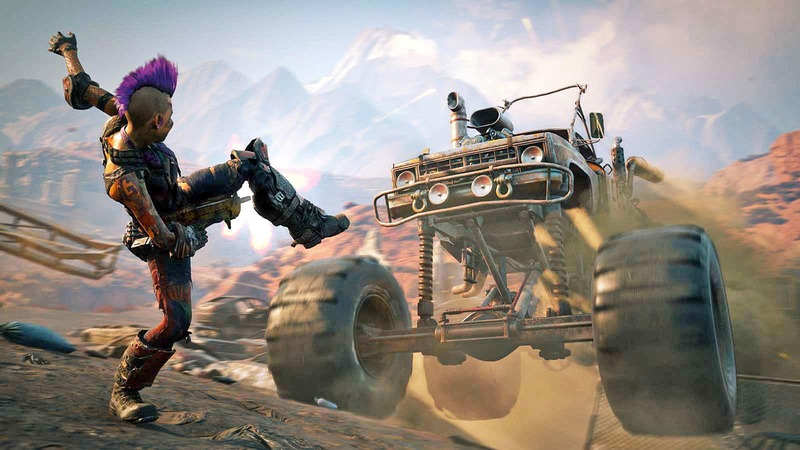 If you are an owner of the Xbox One X or PlayStation 4 Pro, you will be playing Rage 2 at 60 FPS. 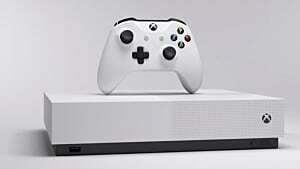 It will not be in 4K because they wanted to focus on making the game super smooth to play. Before I even asked if the game was coming to Nintendo Switch, Willits led off the Q&A session by saying that they are investigating it. 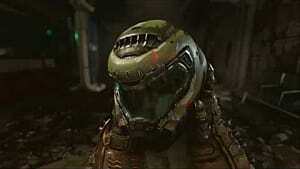 While they were able to put Doom and the upcoming Doom Eternal on Switch, I really hope that they find a way to bring this open-world craziness to Nintendo's console as well. 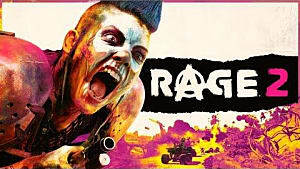 Rage 2 is Sunset Overdrive if it had a crazier and edgier cousin that loved the color pink. 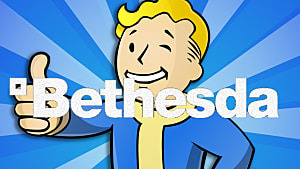 The open-world of the Wasteland is full of entertaining people and a lot of missions to complete besides the main story. This is a fun game. 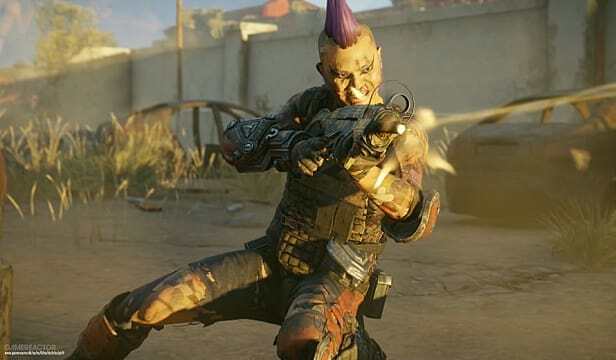 Rage 2 releases for PC, PlayStation 4, and Xbox One on May 14. I definitely had a great time playing Rage 2, and thank you to id Software and Bethesda for letting me check out the game.